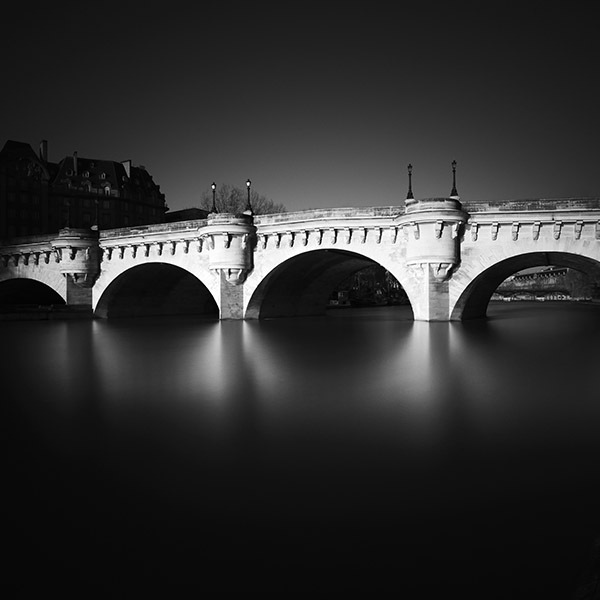 Dating from the late medieval period the Pont Neuf is the oldest bridge in Paris. It's a beautiful bridge and I've photographed it every time that I've been to Paris since getting interested in photography. There's always something that I've loved about it and I remember the fascination with it's form that I felt when I was there in 1985 when it was wrapped in gold fabric by the artists Christo and Jeanne Claude. The bridge is at it's most beautiful just after dawn when the rising sun makes it glow.